OPEC and its allies including Russia, known as OPEC+, will meet in June to decide whether to continue withholding supply. 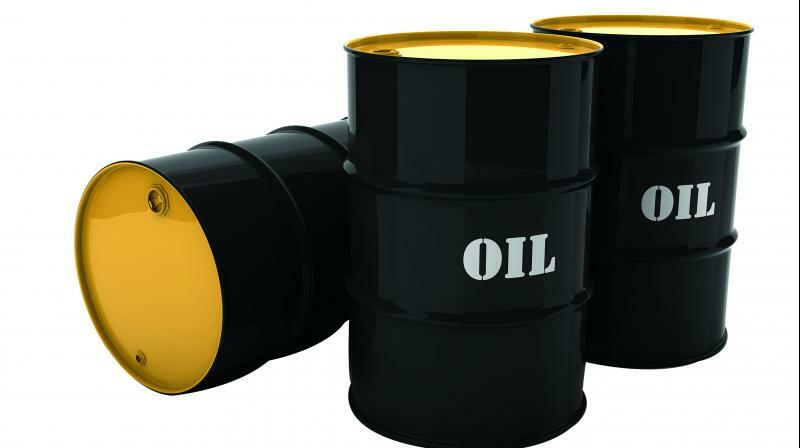 Brent crude oil futures were at USD 71 a barrel at 0431 GMT, down 18 cents, or 0.25 per cent, from their last close. Brent ended down 0.5 per cent on Monday. US West Texas Intermediate (WTI) crude futures were at USD 63.32 per barrel, down 8 cents, or 0.13 per cent, from their previous settlement. WTI fell 0.8 per cent on Monday. Russian Finance Minister Anton Siluanov said over the weekend that Russia and OPEC may decide to boost production to fight for market share with the United States, but this would push oil as low as USD 40 per barrel. The Organization of the Petroleum Exporting Countries and its allies including Russia, known as OPEC+, will meet in June to decide whether to continue withholding supply. That comes after they previously agreed to crimp output by 1.2 million barrels per day (bpd) from January 1 for six months. “Rising US shale output has ... imposed headwinds for oil prices,” said Benjamin Lu, commodities analyst at Singapore-based brokerage Phillip Futures.